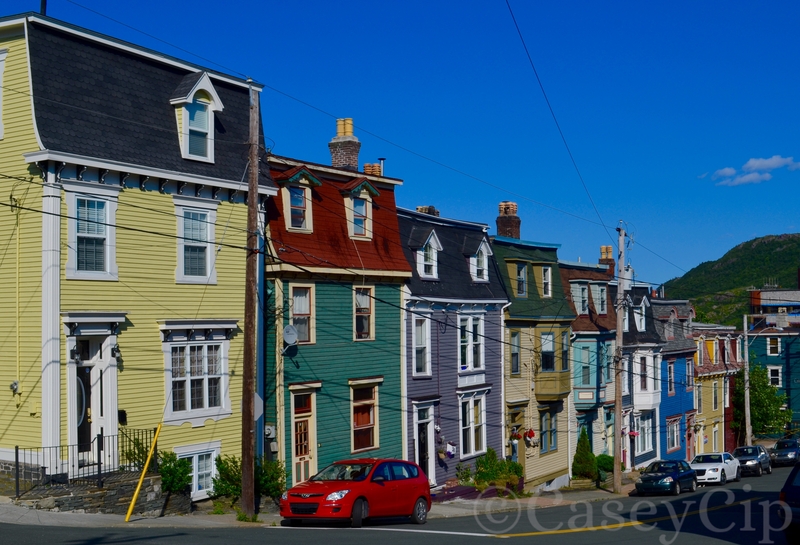 In July of 2012, right before I was about to embark upon my graduate school journey, a good friend and I headed to St. John’s, Newfoundland, Canada for an adventure/girly trip. The reason we chose the tiny, colorful town of St. John’s was because I had a wacky dream of snorkeling with Humpback whales after seeing an article about it online, and I managed to convince her that she should come with me to this random town in Canada to swim in great depths of the frigid Atlantic Ocean with giant creatures that could probably kill you. Good thing I have friends who love to travel as much as I do. But I’ll save the Humpback snorkeling for another post. 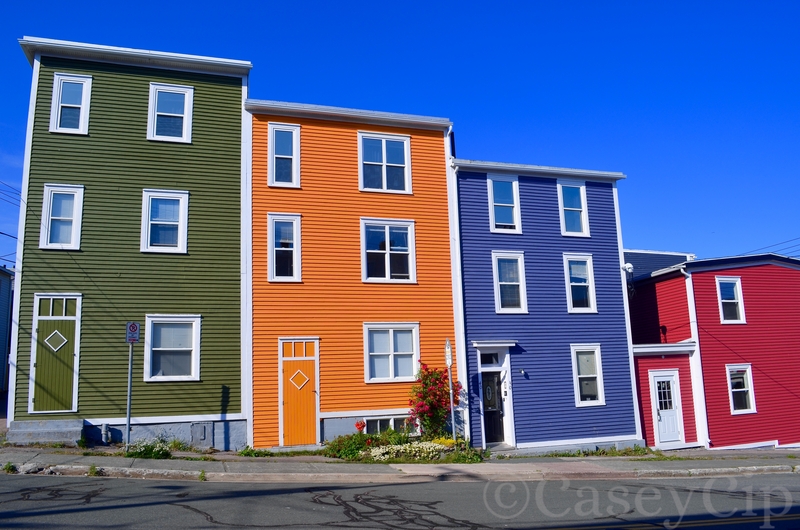 For now I want to tell you at bit about St. John’s itself, specifically the row homes that are so often referred to as “Jelly Bean Houses” or “Jelly Bean Row.” There is no one single street called “Jelly Bean Row,” so if you happen to ask for directions to it while in St. John’s you’re likely to get any number of streets, Grower Street, Henry Street, or Bond Street to name a few, suggested back to you. 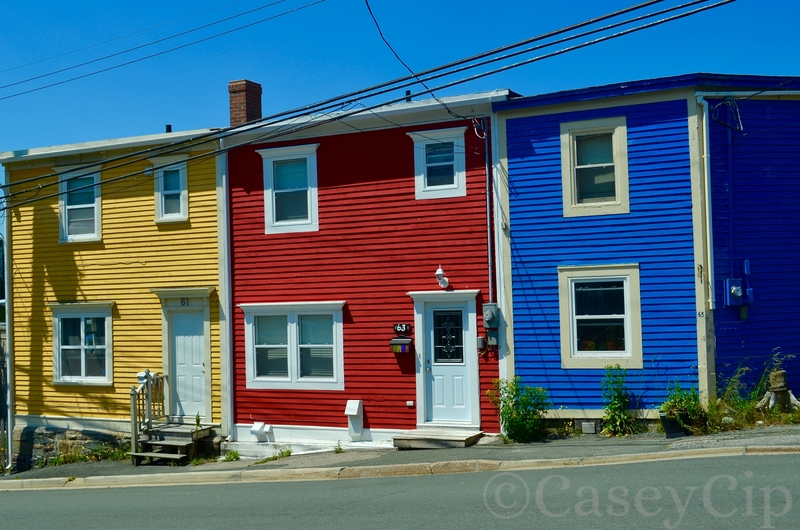 Rather, these little sets of candy-colored houses are scattered throughout the town and ready and waiting for you to stumble upon them on a walking tour or simply moseying up and down the town’s steep hills. 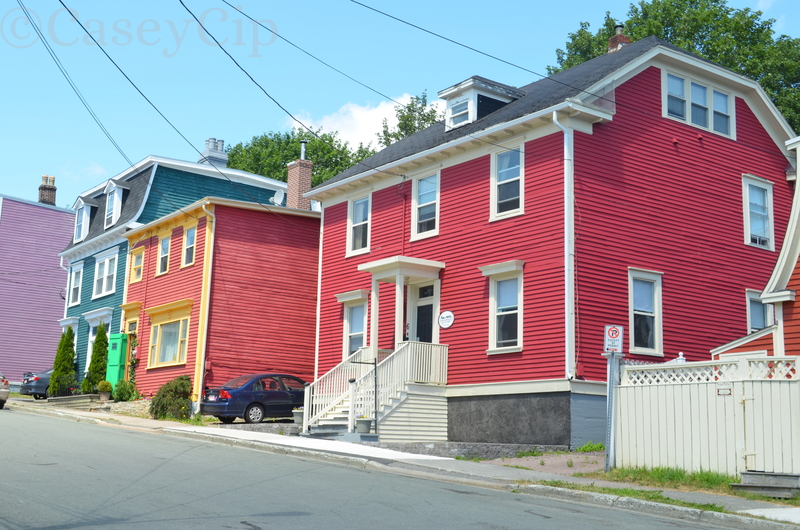 In reality, the colors were a 1970s project of the St. John’s Heritage Foundation who were “committed to revitalizing the downtown and preserving the heritage houses, which were in danger of falling into disrepair or being demolished for new developments.” Leave it to the 1970s to add a little color all over the world. Visiting St. John’s in July, we weren’t exposed to the gray fog of which Meeker wrote, in fact the gorgeous sunshine really elevated the colors and made our entire trip feel like we were walking inside a rainbow. I was excited to go to Newfoundland but I never in my life expected to love St. Johns as much as I did — I set a whole novel there!